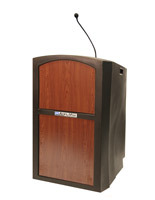 This portable podium with sound system is as lightweight as a tabletop lectern while still giving you the professionalism you need as the centerpiece at your presentations. 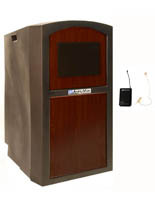 This package comes with a wireless over ear headset allowing you to walk around and better engage with your audience when presenting. 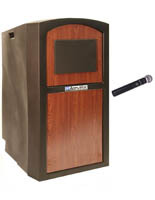 Included with this loudspeaker podium are 2 built-in Jensen design 6”x 8” oval speakers, but if that’s not enough amplification for you we also include a 25 foot cable to connect to the in-house PA amp. 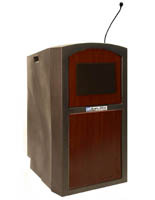 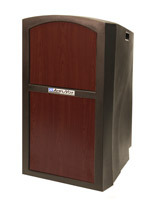 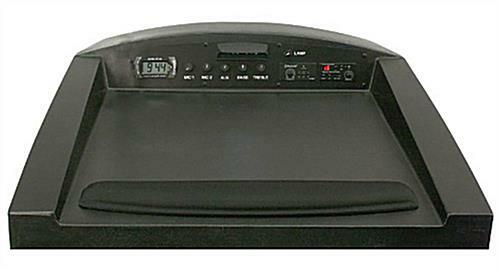 Included in the tech-savvy rostrum is Bluetooth® wireless technology and a 16 channel UHF Wi-Fi receiver. 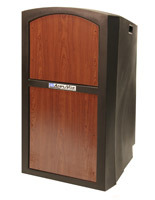 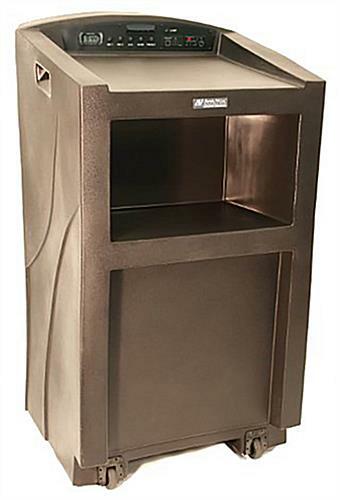 The portable podium has 2 heavy duty handles and casters that give you the manageability of a smaller tabletop lectern. 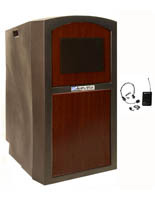 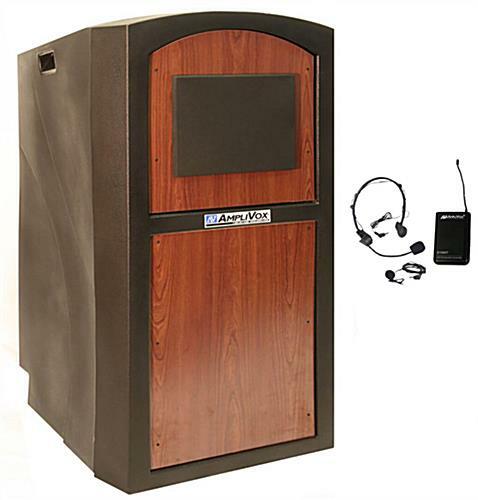 The built-in speakers are capable of satisfying a crowd of 1,950 people in a room of 19,450 square feet because of the 150 watt amplifier with wireless receiver!